RichTextBox is converted to RadRichTextEditor. The following tables describe which properties, methods and events are removed and which are replaced with similar equivalents. Since RadRichTextEditor is available only for .NET 4.0, the conversion tool requires WinForms[Version].40. If you press Return you will be allowed to select another target version. 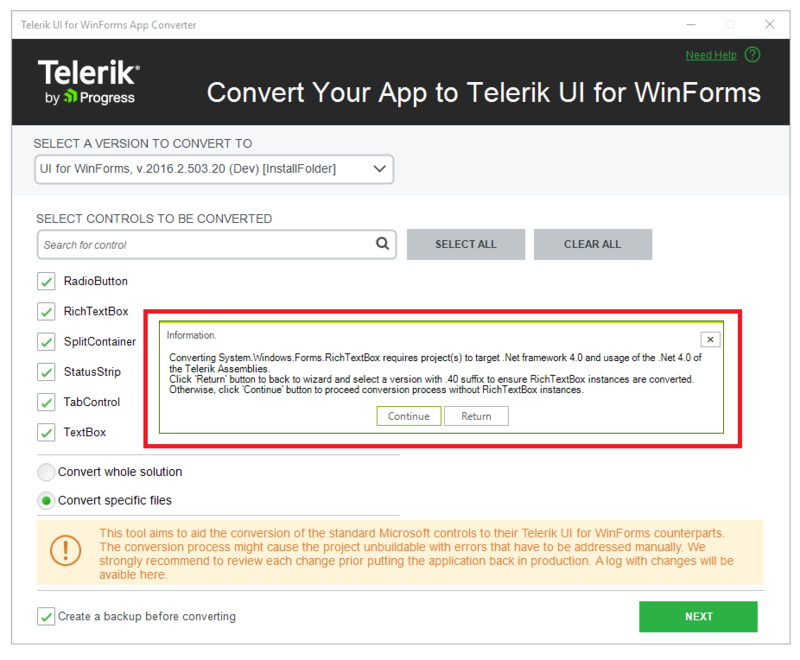 If you press Continue, the conversion tool will proceed, but the System.Windows.Forms.RichTextBox won't be converted.